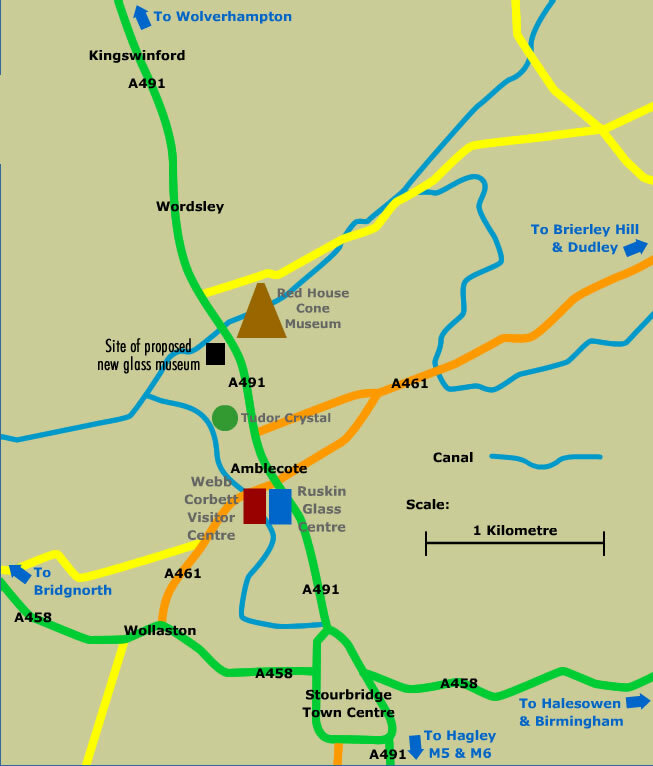 The map below shows the major glass attractions in the Stourbridge area, the three largest being the Ruskin Glass Centre, the Red House Cone museum and Broadfield house Museum. In time we intend to include other glass businesses on the map as well so keep visiting! If you can't see the map below on a Tablet or portable device please click these links instead: Ruskin Glass Centre, Red House Cone Glass Museum, Tudor Crystal, Webb Corbett visitor Centre.